I have nothing to say, and I am saying it, and that is poetry as I need it! Just a bit of liner notes, I am playing Organ, Piano and Bass and have Grammy Award winning Ivan Hampden Jr on drums (17yrs with Luther Vandross) Robin Woodard on Guitar, Emmy Award winner Richard Putnam, and Alex Almasy on horns, and Cammy Award winner JK Loftin is my producer. One nice line up!! Nice sounds & playing Dan! What is the FA in the background used for? Click the link. It's California Dreaming by the Mamas and Papas. I didn't miss any notes in the flute solo, so that was good. Sounds I'm using was Combi A43 (Bass, Old E-Piano), and Prog UE009 (Vibrato Flute). Hey everyone, the entire rig is up for sale. It's owned by the band leader who is the bass player. I can post a message in the FS forum. It's a Korg Kronos 88, Hammond XK-5 with lower, and a Leslie 3300. You may ask why don't I want to buy it. Because I don't have room in my home. The bass player is moving to North Carolina at the end of the year. If anyone is interested in this rig then PM me and I'll send your message on to Max, the bass player (Wellington FL). I don't know how much, he's going to post messages in the Sweetwater forum and a few others. We use the FA for some extra keys when I can't cover all the parts. A couple of our background singers play keys so I tell them which parts to learn. New single from Carter & the Capitals! This link leads to a choice of Spotify, iTunes, or Apple Music, but it should be available from your preferred digital music retailer. Features some dirty clav and a big stupid Juno solo from yours truly. Hope y'all like it! Hi together, here is a special "cover version": "The Old Castle" by my favorite composer, Modest Moussorgsky, in my personal interpretation with a lot of synth stuff (mainly Nord Lead and Korg M50 that I had at that time). Thanks for listening - enjoy it! Duet for Rhodes and Sax (Sax comes in at 0:50). Instead, here's a video of one of the highlights from my wedding last weekend. My wife and I decided that rather than do the traditional First Dance (which felt a little awkward for us) we would gather our bandmates from our various projects and perform a First Song. We chose Stevie Wonder's "As." It was really special for me -- hopefully y'all enjoy. Side note, since this is, after all, a keyboard forum: that's not my keyboard setup. The reception band let us use their gear to make our lives easier. Solid Roland though! and of course, congrats! Many happy years to you guys. November 1st and 2nd are known as "Dia de los muertos" or "All Souls Day" It's a special time to remember those loved ones that have departed. Here's our rendition of the "La Llorona" (The Weeping Lady) a song based on the spooky Mexican legend. Everyone the band is "familia" My wife is singing, niece on background vocals, daughter on violin, newphews on guitar, timbales, an old amigo from college on the congas. My primo (cousin) did the audio recording and video too. I realize that cumbia is not everyone's cup of musical tea, but hopefully you can feel it! Very nicely done cumbia. Love the way that everyone is "into" the song. Very nice, both Sam and montunoman. Heartwarming while also being excellent performances. Thank you Eric and Jim. We appreciate you taking the time to listen! Everyone the band is "familia"
Fantastic. Thanks for posting. Great way for me to end "All Saints Day" as it transitions into "All Souls Day". Thanks Dave and Waygetter. Much appreciated! ...here's a video of one of the highlights from my wedding last weekend. My wife and I decided that rather than do the traditional First Dance (which felt a little awkward for us) we would gather our bandmates from our various projects and perform a First Song. We chose Stevie Wonder's "As." It was really special for me -- hopefully y'all enjoy. Nice job on that song (I song that I really like, btw). I love the idea of a first song which captures how you both feel. I am amazed the band took the time to learn this song, including creating a horn arrangement which does not exist in the original, for a song which cannot be in their regular rotation. I love the idea of a first song which captures how you both feel. I am amazed the band took the time to learn this song, including creating a horn arrangement which does not exist in the original, for a song which cannot be in their regular rotation. Thank you! Yes, we're lucky to play music with a lot of great players who are also excellent human beings. I charted out the form and the vocal splits, but everyone did their homework and we had it ready to go in one rehearsal. The saxophonist wrote the horn arrangement (with that very cool lick he lifted from one of Stevie's live versions). You can't hear the background vocal blend all that well in the video, but the singers fell into pretty tight three-part harmony pretty much on their own. In addition to being a lot of fun, it felt like a great way to contextualize our marriage as something that's part of our community, in addition to being something between the two of us. Very professional video, Dexter. Looked and sounded outstanding. I have a part-time job apart from my gigs and created a studio at my working place to do audio / video. I would like to do a lot more, but it takes a lot of time, organizing, setting up, getting the people there and then post production, since I'm not a pro engineer. But getting better by doing it. Wow, great playing, awesome video, amazing production! Really like it a lot! 2 originals. 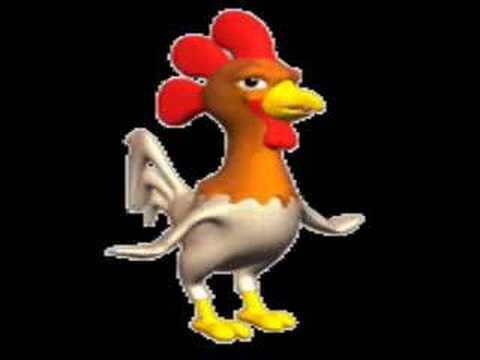 First on keyboard and rubber chicken (not kidding), second on FL Studio. music is mine, commercial rights reserved, etc, it's improv. Probably fun to watch, as well as to play.. Here is some piano and orchestra short pieces I worked on earlier this year. All sounds are from the EWQL library. Really like the sound of EWQL Pianos, they don't often get given the attention the deserve IMHO.